Over thirty years of experience has seen Saporini transform furniture craftsmanship into an art form, blending aesthetic innovation with observance of tradition. Saporini sofas are 100% Italian designed and manufactured in the heart of Matera, southern Italy. In keeping with evolving style, Saporini employs the finest materials and the latest in both modern and classic design technique. 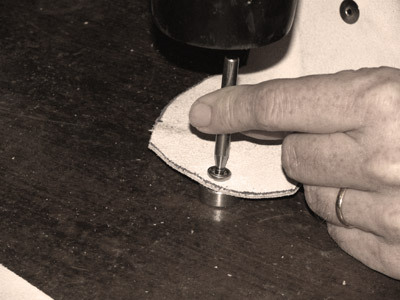 Our master upholsterers create with a flair for interpretation, according to their own unique styles. A Saporini product is unmistakable, exuding a refined sophistication and elegance that will complement any room setting. Saporini products are hand-made by expert artisan craftsmen committed to high quality standards. We guarantee a high level of customer service with product training, marketing initiatives and warranty support for our customers. Saporini is constantly working on new and exciting designs with our research and development team. Our goal is to bring you a product that will look and feel inviting for many, many years. Be proud, as we are, to be part of Saporini.